CELEBRATING EVERYDAY WOMEN WHO GO UNRECOGNISED - Activate! Women of the ACTIVATE! Change Drivers Network will tomorrow pay homage to the Women’s March of 1956 where more than 20 000 women of all races and backgrounds came together to march against the injustices that women faced. Today, women of South Africa face terrifying reality of violence linked to various reasons that are also connected to their gender. The ACTIVATE! Change Drivers Network has dedicated itself to conduct robust discussions that question and challenge why such injustices continue to this day. 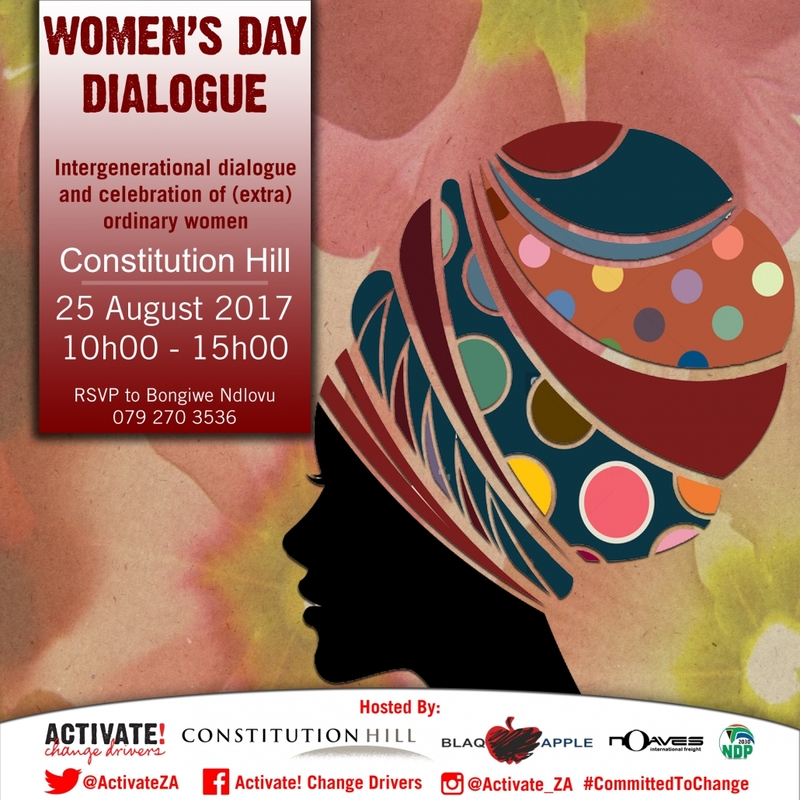 Through dialogues of this nature we hope to host honest inter-generational discussions to understand what role women play in contributing to a patriarchal society and to gender-based violence. At the heart and back-end of the dialogues is the insatiable desire to celebrate women who go unrecognised yet are working every day to rebuild South Africa from the roots up. The dialogue will see the attendees signing a pledge that denotes the ongoing commitment to continue the discussions and sisterhood support circles in communities to provide safe spaces where women of all ages can empower themselves so that they can reach their best potential. The main aim of the event is to ensure that women do not grow weary of their everyday work of being nurturers, leaders and strong pillars of support.